Vitamin D deficiency can affect our cardiovascular and endocrine health as well as our central nervous and immune systems. A simple test will reveal your vitamin D level. Best time for testing: near the end of winter. If you're not getting enough vitamin D from your diet and natural sunlight, supplements may be the solution to those vitamin d deficiency symptoms. “But I take 5,000 IUs a day,” I replied. Even though I’d seen low vitamin D levels in some of my own patients despite regular supplementation with 5,000 IUs or more, I was surprised at how much my own body seemed to require to maintain sufficient levels, let alone optimal ones. “Well, you need to start taking 10,000 IUs,” my doctor told me. I probably won’t need to take this dose forever—just until my vitamin D levels come back up into a more optimal range. Once there, I can drop my dose back down. Sunshine is a key source of vitamin D, but our diet (especially during winter months) can help us avoid vitamin D deficiency. See graphic below. My goal is to find the dose that will keep my levels optimal but not too high, which can be dangerous—vitamin D toxicity, as it’s called. As with some of my patients, it seems as though I may need more than 5,000 IUs per day, especially during the winter months, to avoid vitamin D deficiency symptoms. There are differing opinions about vitamin D levels. 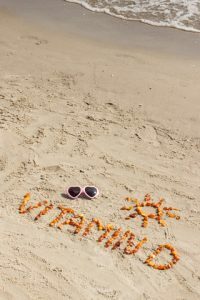 In The Journal of the American Medical Association in 2015, an editorial recommended that physicians “avoid overscreening and overprescribing supplemental vitamin D.” The JAMA authors argued that given the “lack of convincing evidence for non-bone benefits of vitamin D,” doctors shouldn’t screen for vitamin D deficiency or recommend their patients take more than the current dietary allowance (RDA) for vitamin D: 600 IU per day for persons aged 1 to 70 years and 800 IU per day for those 71 years and older. Feeling down, weak, or tired? 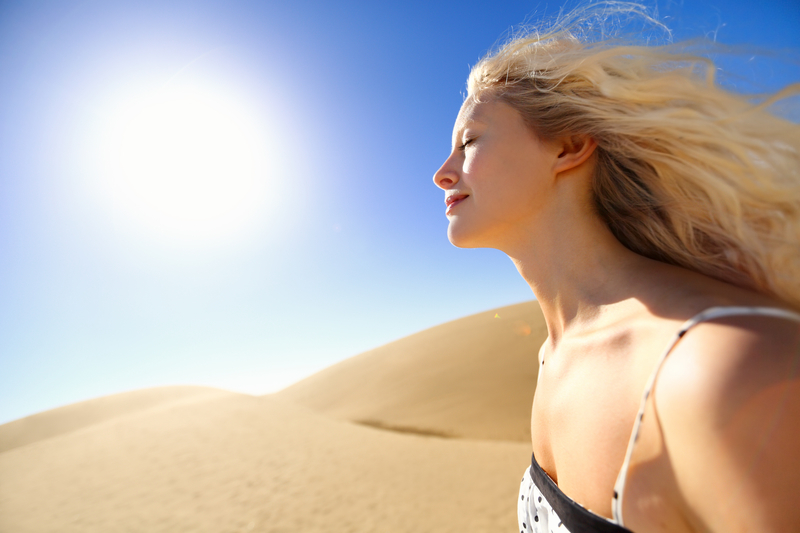 You could be suffering from low vitamin D. Learn how to reverse your vitamin D deficiency. Protect yourself from serious disease with expert information and easy-to-follow advice in the FREE downloadable guide from University Health News. Why Test Vitamin D Levels? You’re likely aware of the huge surge in research showing that vitamin D plays a crucial role in a plethora of physiological and preventive functions. Not only does it regulate calcium and phosphate levels, as we thought, but vitamin D also has numerous extra-skeletal effects. Your vitamin D level can affect bone and tissue health, cell growth modulation, your immune system, and teeth. Food choices like portobello mushrooms, egg yolks, fatty, oily fish, cheese, and fortified cereals are excellent choices to help prevent vitamin D deficiency. Acting as a hormone, vitamin D can have a significant impact on the cardiovascular system, central nervous system, endocrine system, and immune system. Vitamin D receptors have now been found in most body cells. It is believed that when vitamin D binds to these receptors, it regulates a very large number of genes in the human genome. The research associates vitamin D deficiency with many acute and chronic illnesses, including autoimmune diseases , cancer , type 2 diabetes and insulin resistance , infectious diseases (including the common cold) , cardiovascular disease , cognitive decline , and more. While more research is needed, many vitamin D researchers and physicians, including Boston University’s Dr. Michael Holick, PhD, MD, one of the one of the world’s most prominent vitamin D researchers, disagree with the JAMA author’s stance on staying with low-dose vitamin D. Instead, they support the idea of increasing vitamin D levels through high-dose supplementation. If your goal is to prevent these common conditions, achieve optimum health, or age more gracefully, you’ll want to regularly test your vitamin D levels and adjust your dose accordingly. Blood testing for 25(OH)D is only way to know whether you’re getting enough—or too much—vitamin D. March or April (the end of winter) is an excellent time of the year to test. Ask your doctor to order it. Order it yourself online from a “direct-to-consumer” business like Request A Test or DirectLabs, and go to a local laboratory draw site for the blood draw. Order an in-home finger prick test from a website like the Vitamin D Council or ZRT Laboratory. Options 2 and 3 are not permitted in all states. Make sure the test is the correct one: Even some doctors mistakenly order a 1,25(OH)₂D test instead of the correct 25(OH)D test. 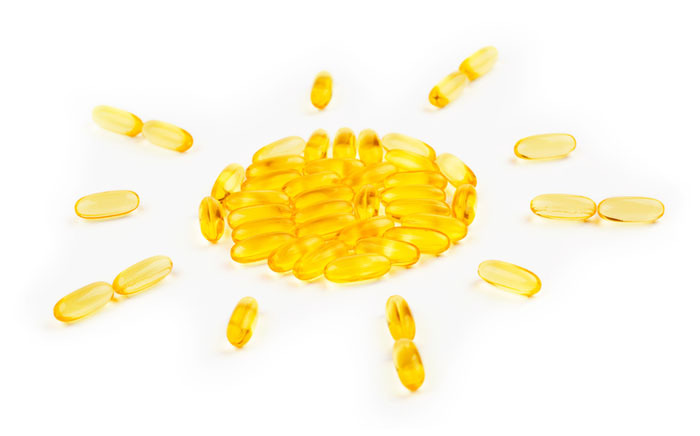 Use our Comments section below to offer your experiences with vitamin D and whether you’ve experienced symptoms associated with deficiency or toxicity. The optimal level and best dose for you depends on many factors, including your current levels, dietary intake, sun exposure, and health status. There is no universal agreement on what constitutes an ideal level. 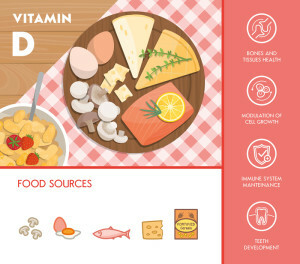 Different organizations recommend different ideal vitamin D levels. While the U.S Food and Nutrition Board believes 20 ng/ml is sufficient, the U.S. Endocrine Society recommends staying above a level of 30 ng/ml. Many naturopathic doctors and practitioners of integrative, functional, or similar kinds nutrition-focused medicine suggest that a level closer to 50 ng/ml is ideal, or close to it. Make sure your levels do not go above 100 ng/ml. The dose of vitamin D you’ll need to reach and maintain a level of 30 to 50 ng/ml cannot be exactly determined, which is why testing is so important. Generally, a dose of 3,000 to 5,000 IUs a day is required to maintain these levels. 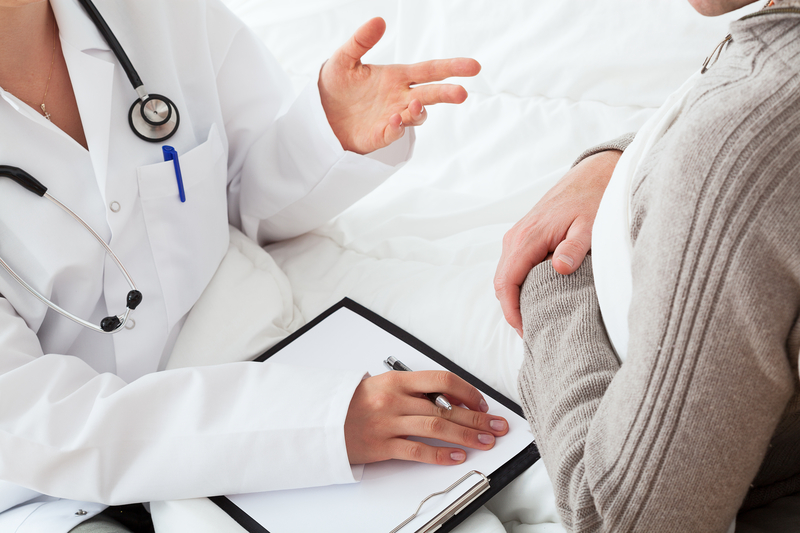 It is not recommended that you take more than 5,000 IUs a day unless under the direct supervision of a doctor. 1. LabCorp Test Menu. Vitamin D, 25-hydroxy. 2. J Clin Endocrinol Metab. 2011 Jul;96(7):1911-30. 3. JAMA. Published online February 19, 2015. 4. Dermatoendocrinol. 2013 Jun 1; 5(3): 331–347. 6. Autoimmun Rev. 2012 Dec;12(2):127-36. 9. Inflamm Allergy Drug Targets. 2013 Aug;12(4):239-45. 10. Clin Endocrinol (Oxf). 2011 Nov;75(5):575-84. 11. Neurology. 2014 Dec 9;83(24):2292-8. 2 diabetes, allergy, blood pressure, bone, calcium, cancer, cardiovascular, cardiovascular disease, cardiovascular system, central nervous system, cognitive decline, common cold, diabetes, diabetes and insulin, diet, effects of vitamin d deficiency, food, food and nutrition, for high blood pressure, health, high blood pressure, hormone, immune system, insulin, insulin resistance, integrative, low vitamin d, low vitamin d levels, natural remedy, natural remedy for high blood pressure, naturopathic, naturopathic doctor, naturopathic doctors, nutrition, osteoporosis, osteoporosis symptoms, prevent osteoporosis, remedy for high blood pressure, type 2 diabetes, vitamin, vitamin d, vitamin d council, vitamin d deficiency, vitamin d deficiency symptoms. I have been seriously deficient in Vitamin D for years. My doc gave me high dose prescription D2 to get them back to normal but my levels dropped to 10 by the next year. I’ve taken 1000IU’s and 5000 IU’s of D3 to no avail. Then I started taking 10,000 IU’s D3 with 500mcg Vitamin K2 once per week and my D3 levels shot up to 73 in six weeks. I also added Folic Acid and 1500mg Nicotinic Acid. I’m delighted! Now dropping Vit D to 5000 IU weekly with 300mcg K2, so I don’t overload my system.